followed by NAJADEN, HAVMANDEN and 2den APRIL. The HAVFRUEN was given the lowest pennant no. due to the fact, that it became the first of the subs that where fitted with the diesel propulsion and therefore used as the command ship. 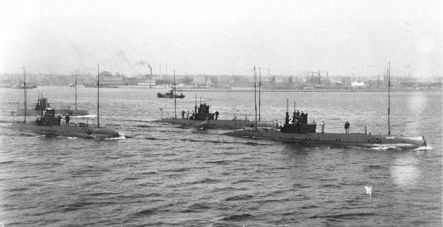 HAVMANDEN, THETIS and 2den APRIL were built by Whitehead-Fiume in Austria, while the other 3 subs, HAVFRUEN, NAJADEN and NYMFEN, were built at the Naval Dockyard in Copenhagen. 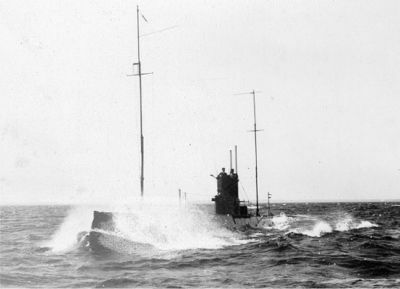 The A Class submarine HAVFRUEN became the first built Danish submarine. 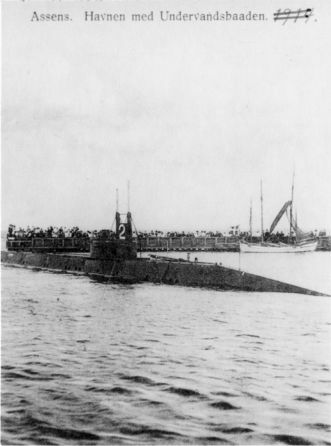 The submarine THETIS, the second sub of the A Class..